Okay, a quick hi to everyone out there in the UK prepper community, I hope this is of use to some of you. For a while now our community has been discussing the various comms options open to us here in the UK, ideas were varied and opinions differed. So we set ourselves a task – identify a common comms need, discuss and evaluate various options – CB on 27Mhz, PMR on 446Mhz etc. We agreed that CB on 27Mhz was probably the most common and easiest format for most UK preppers to use – but we recognised that there was also a viable option regarding modified 70cm ( 400Mhz ) radios, ones that were not restricted to 0.5W. We realised that these freqs have limitations, and that we might need the extended capabilities of using local 70cm HAM radio repeaters for greater range ( bearing in mind that a lot of these installations now have alternative power sources and may be useful after TSHTF and the grid goes down ) so this was the area I concentrated on. My overall aim was to create some form of ‘manpackable’ radio system which wasn’t as technical as a HAM setup, but which offered more versatility than using a simple ‘walkie-talkie’ type handset with its antenna limitations. Ideally it would be inside a metal framed backpack which I could build onto – my solution however, was much more simple. It has many variations, some with ‘legs’ which I ruled out as they sunk into the ground , others with the continuous ‘unbroken’ style like the one above. I already had an older ruckstool that was tatty, and also a cheap but rugged backpack that had no fixed purpose, so I cannibalised the two, and combined them to make my basic portable manpack – I think it could easily be switched for use with CB systems too, but there will probably be greater issues with the SWR of the setup. Obviously you can buy this as a brand new ruckstool, but as I had the basic parts which were disused, I then compromised. I decided on a light duty mirror mount for my setup. As the mount is fully adjustable the antenna can be rotated horizontal if need be, when travelling through low clearance. This is clamped onto the frame and fixed in such a manner it wont hamper the operation of the ruckstool. The above mount will accept various antenna bases , such as dome type, dv type, nmo type etc, some will have an SO239 base (Pic 1) others may have a DV type base (Pic2) and some will have the 3/8 base (Pic 3) for attaching whips. 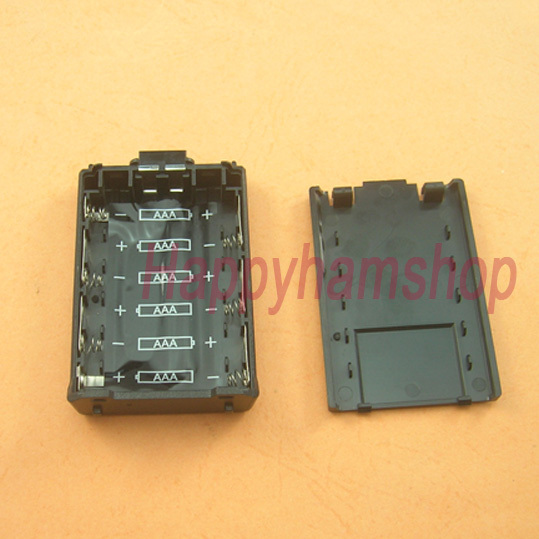 Others again may have the same base, but with a different bottom connector. 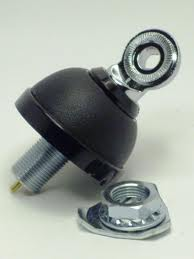 Be careful when you make your original choice of antenna, as sometimes the antenna you choose will come with a base – other times it may be just the antenna itself with no base. 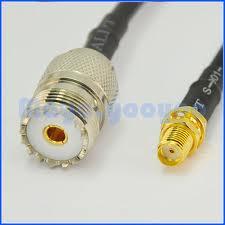 Your choice of antenna will determine if or which base you need, and which connector it comes with. 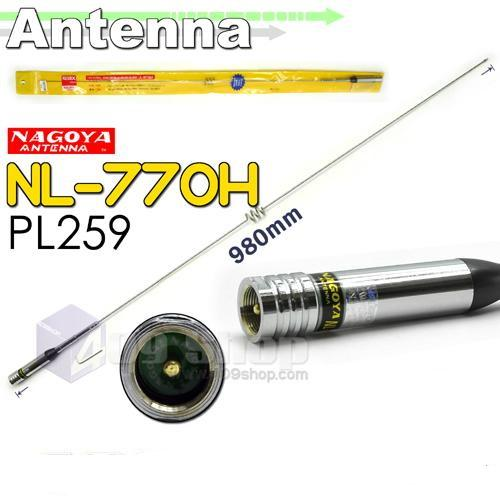 This then leads ( pardon the pun ) to your next headache – the coax cable you require to connect with the antenna, as I mention before the coax MUST have the correct connectors at both ends – I chose the Nagoya NL-770H mobile antenna for my setup, it had a reverse PL259 base. which I had fixed onto the mount, and to the rg58 cable with a PL259 at each end – the perfect solution is of course to buy an antenna kit with cable and connectors, but it limits you to the antennas you can choose. I also found it nigh on impossible to find a ‘PL259 to SMA female’ cable when looking at these kits, so you will need adaptors of some form one way or another. I had to improvise again with a patch lead. If you are handy with a soldering iron and have the basic cables and connectors then all’s well and good, as per usual I had to rely on an internet search to come up with my solution. 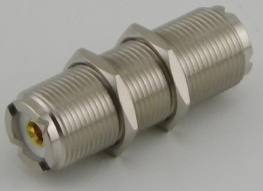 This connects onto the main cable run from the antenna. It also acts as a sort of ‘strain relief’ to the antenna socket of the UV-5R, hopefully the main cable will take any stretch and strain and the patch lead / antenna socket of the radio should be fine. So – we have the backpack with the antenna mount attached, the cable running to antenna from inside the backpack and (unfortunately) a patch lead then running to the handset either clipped on you, or in the backpack – with an external ‘rain’proof speaker/mic running to you. I think that the opening for a water bladder might be useful for running a mic cable through the straps to right where you need it to be. Another issue that made us stop and think was – battery backup, as the UV-5R didn’t seem to have any other ‘wires free’ option than the stock battery, so it was with great relief that I managed to find a ‘battery case’ adaptation for AAA type batteries for this handset. Hopefully you now have the portability of the walkie-talkie, but with the extended range that a mobile antenna brings. This is the budget version of manpackable radio, but that doesn’t mean it wont work. Before anyone else says it – I realise ( now ) that if I had chosen a better antenna – or even one with a different base, then I wouldn’t have had all the side-issues in this small project, as it is a prototype then I can undoubtedly improve on the next one, getting rid of all the shiny bits for a start – but the fact remains – the idea is workable. I am currently testing this setup and will post up the my own pics / results once finished. This will include comparisons with the antenna that the radio comes with – the portable NA771 antenna, and the mobile NL770H antenna. The ‘finished’ item – with optional speaker/mic + battery mod comes in around £70, with the handset = £100 approx, which, for the possibilities it allows – isn’t too bad. This is a really great solution. The beauty of this sort of pack, based on a minimal sized handheld transceiver, is that you can still carry gear in the bag, without the radio gear taking over the whole thing. Hi fred , yes , even within the limits of portability there are definitions. I needed a solution that could be used within the context of a bug out bag , rather than a dedicated patrol radio – although , with minor alterations , this concept can also be used this way. It all depends on what the overall aim is for the radio , short range keep in touch with base or for long distance , contact others. Have you technical experience of Army radios? in particular Larkspur and Clamsman. A person with knowledge of how to repair and align these units would potenially be a big asset to the group. Good article Ned, well laid out and presented. Great article Ned :). My ‘girlpack’ uses a shopping trolley frame ( you know the sort of thing elderley ladies trudge about with). 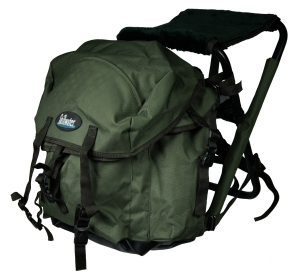 My pack is attached to the trolley frame and can be wheeled along and worn as a pack. The wheels are rubber and are quiet over hard surfaces. The trolley frame likewise becomes the ground plane. I run rigs other than handhelds off a Jump Start 12 Volt 17A Booster Power Pack and solar charging panel for topping up. Dependent on where I’m operating from and what I’m doing I can either bolt antennas on using a swivel mount, Run a dipole up trees or attach to a fishing pole bungeed to posts, fences etc. All fits together compactly in pack. I also take a tiny tent for shelter and usual emergency preps when I’m portable. Just as an aside regarding Freds post ‘ Army does it ‘. Yes – I’ve used the 349s and 351s ( clansmans ) during my short time in the Army. With the added weight of RF amps and/or the hand gennys – the 351s especially – were not light…the narrow straps on the pack were anything but comfy whilst tabbing around , and after a very short period of time , you began to really feel the weight. For what it did – the 351 was ideal , short/medium platoon based comms in a rugged/waterproof case carried in an excellent but uncomfy frame/pack. Here’s the pinch though – if you were carrying the full radio kit , then you had very little space/weight allowance for anything else – I’ll tell you something else – Antler was worse ,it was even heavier , after a couple of hours tabbing around west belfast with one of those , a sifter , or the 351 , you felt like you were floating when you finally got it off your back. Thats why I wanted to concentrate on something that could be used with a bug-out-bag…most of the plus points of a mobile antenna,with the added benefit of having space in a rucksack to carry your other kit. I operate portable using the Yaesu FT-817ND or Yaesu FT-857D. Both these rigs are extremely small and light, although the 817ND is very small and only puts out 5 Watts, it is a multi-mode transceiver with HF, VHF and UHF. You can easily add a small amplifier which increases your output power to around 45 Watts. If you add multiple antennas, such as Di-pole, End-fed or something like the “SuperStick” Portable Vertical Antenna you will then have reliable comm’s system. I run the system on Sealed Lead Acid Batteries (SLAB) or Gel Batteries and incorporate a Fold away Solar panel to trickle charge the batteries. This all fits nicely into a large Mil-Tec bag. But you need to be an efficient operator and understand how radio communications work. What band will you be operating on, for High Frequency (HF) the Single Side Band (SSB) spectrum has many bands, 20 meter, 40 meter, 80 meter, 17 meter etc. etc. , what frequency can you use on the particular band and what is the correct mode used, Upper Side Band (USB) or Lower Side Band (LSB) etc. How will you power your receiver/ transceiver? What type of antenna are you going to make, vertical, horizontal, loop, broadband, mono, di-pole, end-fed????? How many watts (power) can you use without depleting your power source, SLAB, SOLAR etc? Even a small portable transceiver can use 350mA on receive eventually depleting your battery. The point being > this is to enable a portable prepper to contact members of their own scattered group near their bug-out location , or to relay comms from smaller close-by groups to more distant others. The whole concept was for radio novices to easily build and use a more efficient ‘mobile’ antenna for use while portable , without the drawbacks of using handset mounted flexible types. Giving an increase in coverage and overall better performance. It is not designed to be a national/continental comms station. I suppose being a Radio Ham, I don’t understand the Concept of radio and operating emergency net’s!! Even though I have been building portable and base antennas for many years. Obviously joined the wrong forum, apologies. This is a UK Survival/Prepper forum, not the RSGB website. I suppose you being a radio Ham and understanding the concept of radio and emergency nets has blinded you to the fact that not everyone here has the knowledge required to build portable and base antennas , never mind calculate the correct lengths required for various bands. Handset mounted flexibles ? = helically wound stubbies or rubber duck types for handies. Most of the users on this forum are total radio novices and may have a need for a simple way of communicating with others from their own group ( within a mile or less )or from a close neighbour ( probably under 3 miles ) – we have tried to make everyone aware that there is no one size fits all solution to individuals radio needs ,and that UHF or PMR446 is very limited in range , but its simplicity is in its operation , no tech knowledge required to get it up and running in its basic form. HF ? antenna sizes become more of an issue , and simply adjusting SWR will baffle some. 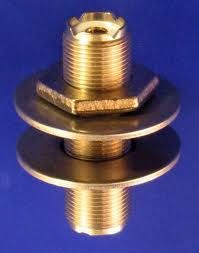 most of our members wont even know what an 857 looks like , never mind what an RF gain knob does or what the Q codes are. That is why the thread you have posted on concerns the build of a very basic portable setup , the UV-5R isn’t and never will be a yaesu 857 , nor will UHF ever reach the lofty ranges of the manpack system you have with the antennas you have built , then again , you obviously have the knowledge and capability to do that , the preppers on this site don’t. Thank you for proving my point , I maintain that the best people to be in contact with if you need any form of serious distance comms (when the rule of law breaks down) – will be the radio amateurs , the people with the knowledge and equipment and procedures ( RAYNET )already in place. The object wasn’t to build an antenna , or a manpack system. The object was to enable those with similar handies to the one in the project , to be able to use it while portable. Whichever power solution each individual chooses to use is their own , whichever antenna they choose will be their own too. 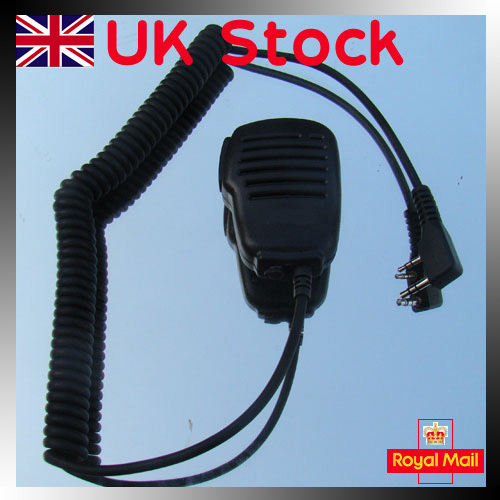 It is a DIY concept ,its not meant to give the false impression that UHF comms are super duper with a huge range. Why join a prepper web-forum and then go on the attack quoting knowledge that 90% of that web-forums users will not understand ? Did you read through any of the comms threads at all ? ” GREEN RADIO/MIL-PACK SETUP SUITABLE FOR SOTA USE “. You might also have noticed the nod to SLABs and portable PVs to trickle charge on another thread. …Or the complete farce that it became when some people slowly realised they needed an 18ft half-wave just to reach the people they needed to contact. – My point exactly !! very few on here can be described thus regarding radio comms. I apologise for being rude , and abrupt , but if you had half the headaches some of us on here have had trying to explain that what they really needed was the kind of setup YOU already have and the knowledge to use it – then you would understand. They want an easy to use out of the box solution. They dont want to learn about dipoles. They dont want to make their own antennas. They dont want to use sidebands or CW. They dont want to use or rely on repeaters. They dont want to use deep cycle SLAB or PV for portable radio power solutions. They dont want or need voltage regulators to adapt others. This simple backpack based portable setup may even be over-complication for some. I’m not a member of the RSGB; I wouldn’t waste my money joining them. I am however, a member of RAYNET another waste of time in my opinion. All that I was trying to suggest is that, perhaps some prepper’s might like to gain greater knowledge of the art of radio communications. Anyway, I apologise if I came across arrogant in my approach, this wasn’t my intention. If I might make a suggestion regarding the the UV Handie’s, personally I would prefer to save up the extra few pounds and purchase something like the Yaesu FT-60R or FT-270R, I own both models and the difference robustness compared to the Chinese models is non-comparison, the FT-270R is even waterproof. Anyway, for portable ops, I use a SOTA Pole (Roach Pole) to give greater height to my antenna while using a 5W handie. Have a look at the SoTAbeams site and take a look at the Multi-Function Dipole (MFD) a very inexpensive antenna for portable ops. No apologies necessary HF MAN. You correctly pointed out that for decent comms you would need the type of setup you suggested, along with the power supplies described. What you failed to realise was on this site ,most of the members aren’t really interested enough to take their comms skills and knowledge to the next level and beyond. They mostly want a ready made solution. Once again – agreed as regards the handsets and overall quality , one point to note though is this – for 2 Yaesu I could get 5 or 6 chinese copies. They may not be the same quality – component wise , but they do allow us to get on the air cheaply with the added bonus of having a few other sets as redundancy backup. I would honestly put my little Baofeng 888-S ( £17 ) up against the Mitex units that maplins sells for £70 , if not identical , they are very very similar. In the electronics world though its very much ‘caveat emptor’ when dealing with chinese stuff , some are good , some are bad – most reports have the UV-5Rs’ performance right up there alongside the likes of Yaesu etc. Thanks for the info on the SOTAbeams site ,I appreciate that , the MFD sounds very capable and I will have a look. I had pondered the use of a ‘roach-pole’, some of the HAMS I’ve been hearing have talked about using them ,I must do more research into it before going ahead though. Welcome to the site , thanks for the comments , healthy debate and comment are welcome here. Please – never be afraid to ( politely ) speak your mind. As you are aware, VHF / UHF FM are line of sight. The higher you have your antenna, which includes you and your TX, if you are going to be working portable, the better your signal is going to be. My home station VHF/UHF antennas are approximately 40 feet of the ground. When working other stations using the repeater network, I can TX/RX for many miles. However, I was recently working two call-signs on simplex, they are 15 miles from my station and both live in an inner city environment and approximately three miles apart. One I could not hear at all, but he was able to give me an S-3 report while the other was 5/9 with me, as I was with him. The second call-sign had a little bit more elevation that the other. The SOTA / Roach Pole is an excellent substitute for an aluminium mounting pole, as you just can’t carry the alloy pole when operating portable. Obviously, you can’t use the top tip section, but it certainly gives you that extra height for attaching your lightweight portable antenna and you have the option of holding it or fastening it with velcro straps to a fence post or a small tree etc. Merry Christmas to all on the forum and I hope Santa brings you something nice. It’s interesting isn’t it that many preppers do not want to actually engage in radio in any meaningful way preferring the armchair approach of just buying something in a box! I think The Local Neds easy to build comms pack is a brilliant guide for novices and I’m so surprised that seemingly so few seem to be embracing it. I am basing this on the comments and chat in the forums section of this site. I believe that the ideal comms solution,for each prepper, can be arrived at but only if the individual is ‘prepared’ to learn new things and get stuck in i.e. do some radio training and take a FOundation Licence enabling legal use of radios and familiarity of using such equipment prior to any event. My own comms are a combination of HF, VHF and UHF in various modes QRP. In my opinion, the “Foundation” licence teaches very little with regards to giving the student any technical insight into how radio works. I would only advocate the foundation course, if the student want’s to advance their knowledge to at least the Intermediate level, where they will become familiar with the relevant components and get a chance to build a working piece of equipment. There are a high number of people who only obtain the Foundation licence, so as to operate radio within the amateur bands legally and they never progress to the next level. If the SHTF it won’t matter if you have a transmitting licence or not, who is going to be there, to police it? I am old school RAE, I agree with all you say! I can’t argue with any of the points you both raise. Loodles mentions something that the more tech-wise amongst the preppers of this site have been saying for a short while now , and that is why more preppers aren’t engaging more in radio – which could,perhaps,be the difference between life or death. We quickly realised that each individuals solution could/would be different from any others , so we arrived at the decision to standardise certain freqs on certain bands , how the memebers arrived at their solution was up to them , support was available if requested. Sometimes the support being offered was deemed too technical , at other times it was deemed as insufficient or unworkable. It was pointed out as HF-MAN says that nobody would give a toss when TSHTF about licence requirements or the legality of the equipment used – FIT FOR PURPOSE – springs to mind here , if it works , use it. Foundation course example tests , information is available for download from SUK download section. Most of the members see a licence as irrelevant , and having listened to amateur operators for a wee while now , I get the impression that they view the new foundation users as a slight distraction more than anything else. Once you start down that road however , you will quickly gain the insight and knowledge to better understand what the comms enthusiasts here have been at pains to emphasise , learning about radio can be worthwhile too. Er–Great debate and loads of information but I have lost the plot as to what has been agreed to use as a workable radio system.. Great info about antenas etc but am I to use CB radio— or not. I have used AM CB radio in UK and abroad for a long time without any trouble— Yet! Used Clansman in Forces– it was terrible– allways! I have some articles which which will make this clearer ready to post in the new year. and the discussion between the local Ned and HF Man may have even been more interesting. It highlighted all the main points of comunications. first the fact theres more than one system. It would be ideal if we could create some form of preplanned system so we all know what were doing. so for example, id say most of us will be stuck with standard cb radios. be it a portable hand held or a base system from 12v. It leaves a lot of questions. its a huge subject to try to cover. something that we could set up now and maybe test out. find out how many of us are close enough to communicate by cb etc. and which ones of us can reach far enough to reach someone with a better system. surely it would be easier to arrange this stuff now, rather than try in hope after an event , when were all using sub standard equipment that weve scavanged from broken taxis. I have been reading this. It has left me thinking. A little bit of knowledge goes a long way with radio comms. I am a radio amateur i am also a tutor, as such i have a good knowledge of the subject. Most radio clubs offer the foundation licence in Amateur radio for the price of the exam ! This could give everyone the vital skills you could rely on. Cb, PMR both good systems but if something didnt quite work right ? You wasnt making contact ? Powering, maintaining the equipment ? That small investment in time and money could really pay off ? Not to mention learning skills like making simple antennas. Which doesnt have to be difficult. For emergency comms I use two bits of wire ! And I made a 100 mile contact with it using the same power as the baofeng and the frequencies it can transmit on. Is the baofeng good ? Yep I have one. Use it regulary. Its not licenced for pmr use though. So testing your setup is illegal. im in kent. I have helped lots of people get their amateur licence. From 15 years old to pensioners. If anyone local wants help let me know. good thing with an amateur licence is we have lots of frequencies. Which let us talk around the world or to someone down the street. We also have our own satellite’s which enable someone with a baofeng 5watt handheld to cover 1/3rd of the planet ! So small groups keeping in contact around a county or country is easy. Its also a sill we develop. Something a lot of you might find very useful ? There are different levels which have different skills. Not everyone reaches the top or ” advanced” level. From what I have read on here. A good number of you would pass the first level without too much difficulty. Something that will open a whole new world of comms for your group. Built our own transmitting and receiving equipment from scrap. Build radio repeaters. Retransmitting signals over wider areas. Send data and pictures/video over radio. Power from solar, battery, wind. diagnose interference faults and rectify. There are many more things but these are probably the ones this group will find most useful. As has been mentioned. We also have RAYNET ( radio amateurs emergency network ) which specialises in the skills you will find most usefull. You can join. Learn the skills and help your local community. Thats the end of my sales pitch ! I like this tutorial. Shows carefull thought and implementation. CB is ok for local and some midrange contacts. Most people will not get the best out of it. Its certainly capable of very long range. If you know how / when. Build a cb (try and pick one that does 8W in export mode on FM this is for SHTF forget legalities)into a small steel\Ali box,use a DIN mount bracket to hold cb into front panel. Add your SO239 on front panel. 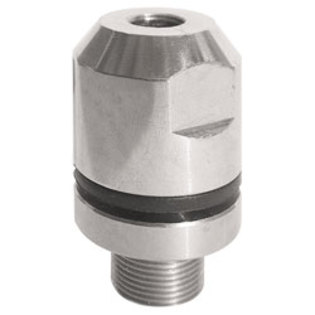 Use a SO239 to 3/8th thread adaptor to take standard mobile cb whips. Add a earth screw for counterpoise wire 2.6m long. I’ve been looking at using wide 1″ tape measure cut at 2.6metre long (27.500mhz middle of cb band)and heat shrink tube the tape. I need to get a machined brass adapter fabricated to bolt the 1″ 2.6M tape to the adaptor that will have a 3/8th thread on it so it can screw into 3/8th to PL259 adaptor. What you have then is a MIL style tape\Blade antenna cut as a quarter wave and very flexible. I did consider adding a goose neck as well to provide flexible angle,as this is going in a small backpack. here a link to what someone else did similar to go box. I also found this info for using AN-PRC ranges of MIL antennas and goose neck springs,needed if its a quarter wave 8-9 ft whip\blade antenna.